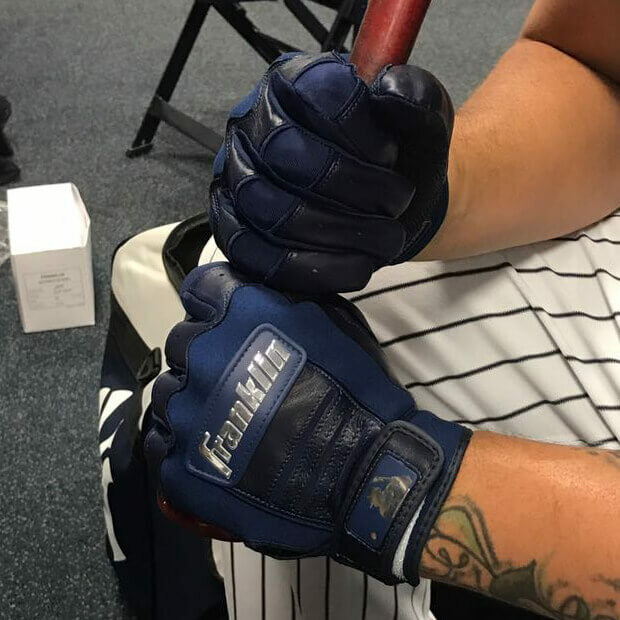 Gary Sanchez’ new Franklin CFX Pros are a pair of beauts. That Franklin logo is looking more modern than ever with the navy background and silver font. Classy and flashy at the same time—the best combo. 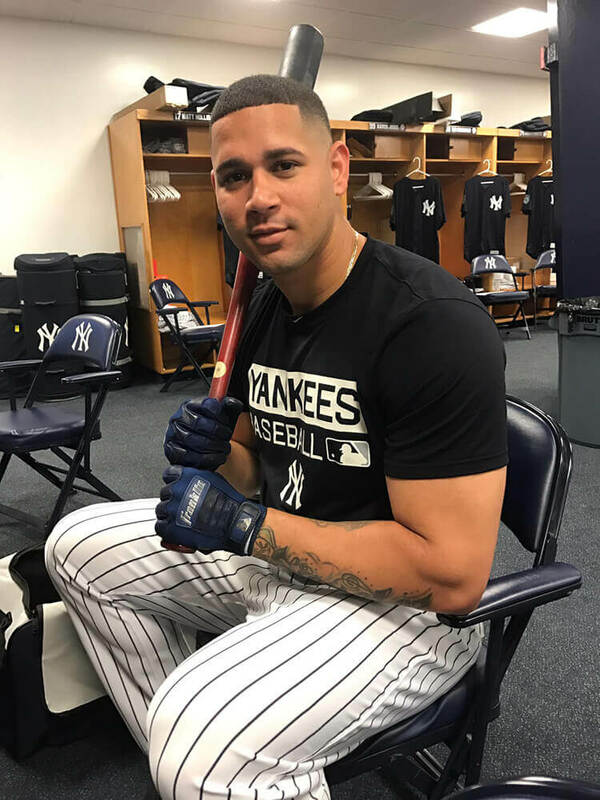 Thanks to @marv24 we found Sanchez’ exact gloves, which you can get (probably for a limited time) at the link.